Bangladesh as an economy is in its ‘ignition phase’ and has established itself as a role model for sustainable and inclusive development. After commendable achievements in terms of both social and economic indicators, it is now chasing bigger dreams such as double digit GDP growth rate, hunger and poverty free country and even the status of high income country within a couple of decades. In this context, energy has become a critical concern. We must note that we are one of the countries with lowest per capita energy consumption. Hence, our energy consumption will increase significantly over the coming decades (it is said that it will be tripled by 2030). While this increase in energy demand is expected and desirable (at least to a significant extent), we must also be very cautious about energy efficiency and use of fossil fuel. Because, being one of the countries most vulnerable to climate change we ourselves must remain on track for green growth. Despite socio-political unrest prevailing all over the globe, the whole world today has reached a moral consensus about combating effects of climate change. Issues related to sustainable consumption and growth, and preserving our natural resources to secure lives of our future generation occupies a significant portion of the global discourse. This global moral consensus has yielded the SDGs and the Paris Agreement. We have now entered a new era where combining short-term business fluctuation management with long-term sustainability agenda is the new normal. Socially and environmentally responsible policy ethos reflecting local context and global challenges is being ingrained in the medium- to long-term policies of the countries from both developing and developed world. Following the SDGs and Paris Agreement, we like most other countries are committed to contribute towards limiting increase of global average temperature and ensuring affordable, reliable, sustainable and modern energy for all. The government has set its policy directions accordingly. Our medium to long-term planning documents (FYPs, Delta Plan 2100 and other policy documents) have asserted intentions to enhance utilization of renewable energy sources as much as possible. While there is no doubt about our commitment to green growth and clean energy, there lies a lot of hurdles on the way of achieving these noble objectives. For example, on paper we are committed to enhance utilization of renewable energy in Bangladesh. But in practices we are flooded with numerous challenges. These include- coordination among the actors, sensitizing the customer base, pacing up implementation of the plans and perhaps the largest of all challenges ensuring finance. Currently only 4 percent of the electricity that we are consuming is coming from renewable energy sources. But we are committed to ensure at least 10 percent of the electricity to be coming from renewable energy sources by 2020-21. This implies that there is a huge lag between where we want to be in just 2 or 3 more years, and where we are now. The challenge will appear even bigger if we take into account that our demand for electricity will be increasing very fast in the coming decade. We must also not forget that we intend to rely completely on renewable energy by the year 2050. One could say that these targets are too ambitious, but if we look to our neighbouring country India who plans to produce 50 percent of the energy they require from renewable sources by 2030, then it will be clear that the targets that we have set for ourselves are not that ambitious. In fact I believe we should be even more ambitious about expansion of renewable energy. We must not forget that Bangladesh has set the record of having the largest SHS programme in the world (IDCOL has installed 4.13 million SHSs across the country). Other renewable energy solutions are also expanding. Another major challenge in the field of renewable energy in Bangladesh, is related to the technological aspects. While we have commendable performance in terms of off-grid renewable energy production, only 17 MW of electricity is coming from on-grid solar solutions. We also do not have enough contribution from non-solar renewable energy solutions like wind power, bio-mass gasification etc. There should be more research and development and pilot projects. It is estimated that in the next 15 to 20 years the investment required in the energy sector for desired change will be around USD 70 billion. This implies that financing the transition of our energy sector is also going to be a huge challenge. We have to look both inside and outside the country to confront this challenge. For the solution from inside- we must get our private sector interested in the field of renewable energy. We can also mobilise resources through circulating green bonds in the market. There are numerous examples of such bonds being very successful across the world. For the solution from the outside- we have to try and engage the international development partners and investors. It should not be too difficult for us considering the current stability of our economy. The government alone cannot deal with these challenges, neither is it the problem of the government only. It will require significant support and cooperation from the private sector. And for long-term strategic finance it needs support from the IFIs. IFIs have been providing potent support to Bangladesh and has contributed to a significant extent in attaining the macroeconomic success. Now it is high time for them to come forward to support enhanced utilisation of renewable energy in Bangladesh. Along with finance they may also facilitate transfer of technologies. However, utilisation of on-grid renewable energy, use of non-solar renewable energy solutions, introduction of ‘net metering’ and proliferation of viable business models remain as challenges. Here, the private sector can partner up with the government and IFIs. Civil society organisations can support these initiatives through providing participatory research inputs, advocacy campaigns (engaging IFIs and government). They may also work as a bridge between the grass roots level renewable energy initiatives (undertaken by NGOs) and national and international policy makers. What we need is a coherent effort. We want all the stakeholders on board. 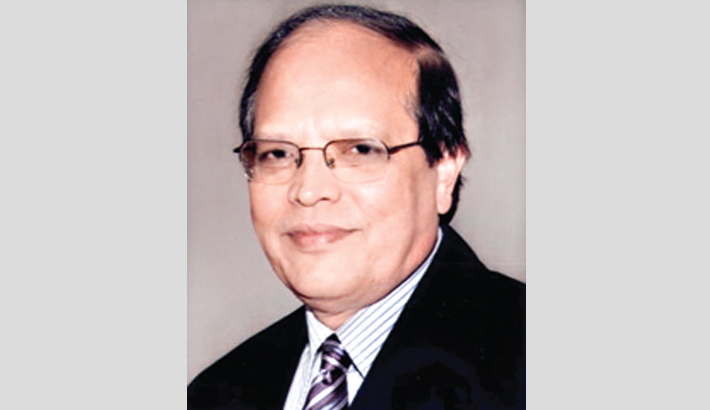 Bangladesh is going through simultaneous multi-dimensional transitions. Right choices made at this point (about major concerns such as energy) can make huge difference.